Doors are the first impression of the house. Especially the front door of the house is usually kept in such a way that it attracts the attention of the passerby. The front doors are chosen to complement the beauty and elegance of the house. The front door should be strong enough to provide the safeguard to the house. There were several research and development in the field of door beauty, stability and not to compromise with the strength of the door. When we think about the materials from which the door has been made, they all have got their limitations and benefits. But, to cater the need of elegance, design and strength the researchers have developed these doors. 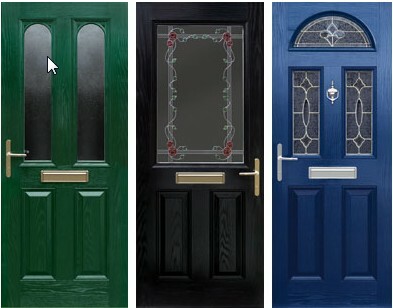 Composite doors are composite according to their name. They are made from several materials, which enable to have the best quality of each in one. These doors are composed of wood, PVC, insulating foam and glass reinforced plastics (GRP). All these material give enough strength to the door and on the same time is does not compromise with the beauty of the door. These doors are installed in UPVC steel reinforced frames, which gives additional strength. These UPVC doors are very effective in resisting heat and sound. It has been surveyed and observed that the people, who have replaced their PVC and wooden doors with these composite ones, are now having fewer problems of heat loss and noise pollution. Composite doors are the real value for money. These special kinds of doors usually come with a long guarantee some time as long as 10 years. Manufacturers are confident about their guarantee as the materials which are used are sturdy and long-lasting. These doors are durable and fashionable so that they can match the possible requirement of customers. These doors are available in all general sizes if the designs are finalised by the individuals. Any alteration in the design and colour in the choice then it require at least one week’s time to incorporate all the changes. Before purchasing the composite door individuals have to ensure that the company and the products are having energy performance certificate. This certificate is just to ensure that the product and the purpose of the product are saved and customer gets the full value for the money. This types of doors have certain specific qualities like; they are weighted to match the wooden door. Most of the sizes of these doors are universals and if customers have any specific size then it can be altered if ordered well in advance. These doors are highly dent resistant and so they do not wrap, twist or bow. These doors have coloured skins not the painted colour that makes the colour permanent and it doesn’t fade. These doors have very good heat insulating capacity more than wood. The doors have variable thickness from 44” to 48”. There is a large variety of colours available in the market and the design also. These Composite doors have variable options of styles of fixing glasses and other designs. I have to admit the facts above that are said about doors because when it comes to a house one of the most important thing is the front door and it has been explained in here very well. I like the designs that are posted above and would love to know more on this.